Heaven for orchidmaniacs. 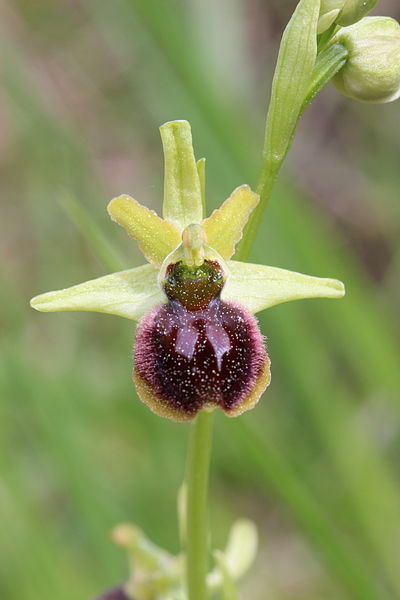 It's time to get out into the wild and photograph wild orchids to help the National History Museum to help examine what impact climate change is having on the UK’s orchids. An astonishing 56 native species of orchid grow wild in the UK, flowering from April to September. Recent research indicates that climate change is affecting the flowering time of the early spider orchid, Ophrys sphegodes. Researchers now want to find out if this is true for other wild orchids and whether all species are responding in the same way, starting with 29 species. They need as many people as possible to photograph orchids this spring and summer, and to send them the images with the date and location. This is quite a project, for alongside this, they have around 15,000 orchid specimens in the museum’s British and Irish herbarium. Collected over three centuries, they indicate flowering times in the past. Putting all this data together is a huge task, so this is how you can help. Visit the website and find the guide for how to photograph local orchids and identify photos that other orchidmaniacs have loaded. Orchids are widespread across the UK and some species are actually quite common. A useful starting point is the Wildlife Trusts’ ‘40 places to see orchids’. For orchids further north, try these guide. If you’re worried about the plants being in danger from collectors, the research team felt the risk outweighed the need to protect these beautiful flowers.